The John Hart room comprises the Reference Library and a small Lending Library. 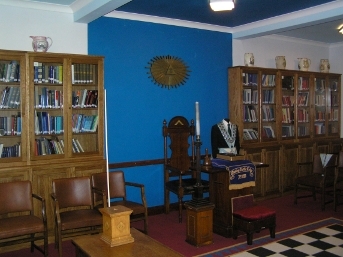 The room is arranged as a fully equipped Masonic meeting room for visitors to explore. The Reference Library contains nearly 2,000 printed volumes covering all aspects of Freemasonry, from history and symbolism to dictionaries and encyclopedias encyclopedias. Antiquarian books are housed in the main Library area within the Museum. The John Hart Room is used for Lodge meetings and rehearsals, and has been designed to support self-guided tours by visitors. The room contains the items found in a Masonic Lodge and provides an explanation as to their purpose and origin. It also houses several examples of Masonic regalia and display cabinets containing other items of interest. A Lodge room is oriented on the points of a compass and therefore has a north, east, south and west. It is in these positions that the principal officers of the Lodge sit. The Master sits in the east and on the pedestal in front of his chair rests the Volume of the Sacred Law with the Square and Compasses resting on top. When in the Lodge room, visitors will notice three large chairs. These belong to the Master, Senior Warden and Junior Warden. Each of these chairs is adorned with the jewel of its associated officer: the Master is depicted by the square; the Senior Warden by the level; and the Junior Warden by the plumb rule. The Secretary's table can be found in the north. He shares this table with the Treasurer. Both are officers of the Lodge and wear collars bearing the symbol of their office: two crossed pens for the Secretary, which are said to be 'in saltire', and a key for the Treasurer. The Secretary is responsible for the administrative affairs of the Lodge, whilst the Treasurer manages its financial affairs. The Lodge room contains two large white pillars, which are of great importance to Freemasons. In this particular room they are situated behind the Senior Warden's chair, but they can often be found behind the Master. They represent the columns placed at the entrance to Kind Solomon's Temple. Each column is surmounted by a globe, one representing the terrestrial and the other the celestial. 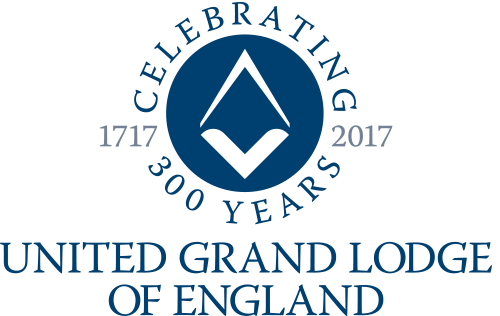 They refer to 'Freemasonry Universal', recognising that Freemasonry has no limits and is open to all who believe in a universal supreme being. The room is named after John Thornton Hart, who was appointed Librarian and Curator of the Museum in 1997, a post he held until his death in 2011. Under his leadership, the museum was transformed from the one room it previously occupied (now the George Taylor Room) to the extension into the former Tyler's flat (now occupied by the John Davies Room, Library and office), and finally the old rehearsal room (now renamed the John Hart Room). During this period, the Library and Museum was awarded Accredited Museum status by Museum Library and Archives Council, being the first Masonic museum in the country to have achieved this level of recognition. 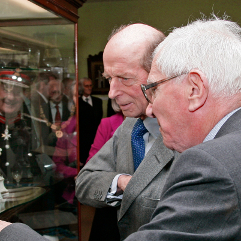 This culminated with the honour of a visit from the Grand Master, HRH the Duke of Kent, in 2009. John was awarded a Master of Arts degree in Classics from the University of Oxford and was initiated into Apollo Lodge No. 357 whilst a student at that university. 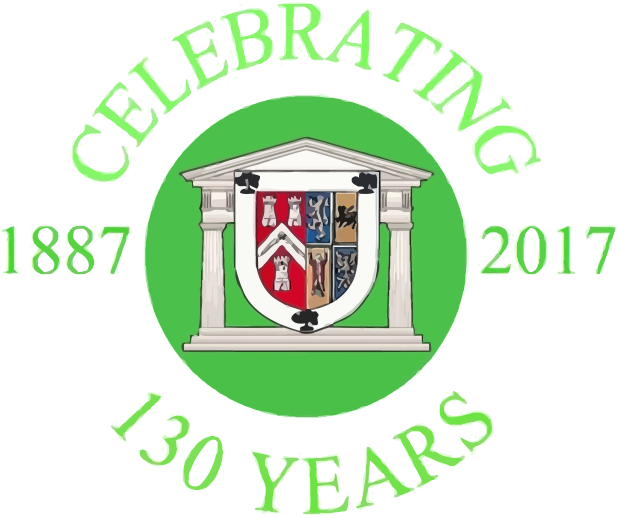 On moving to Worcestershire joined local Lodges and Chapters in the Province. He was a keen musician and was always in great demand as an organist. Following his national service, John took a teaching post at Malvern College and eventually became Head Classics Master. His thirst for knowledge and facts were legendary and this bore fruit in 1975 when he became the first male winner of the TV series 'Mastermind'.